Double Gloucester cheese with dried onions and chives. 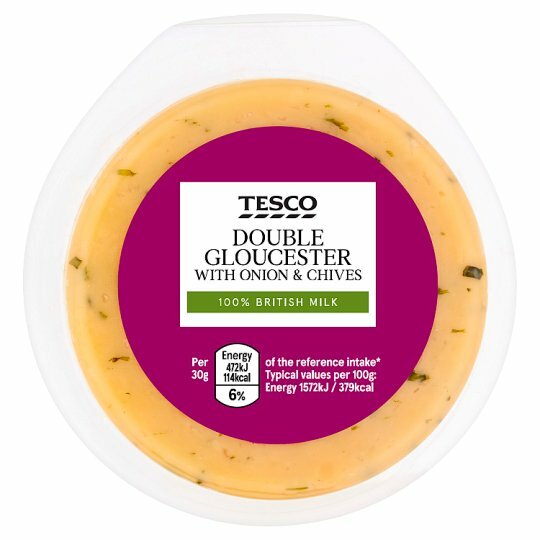 Double Gloucester Onion and Chive Carefully blended for a mellow, savoury flavour. INGREDIENTS: Double Gloucester Cheese (Milk), Dried Onion (3.5%), Chive (1.5%), Preservative (Potassium Sorbate), Colour (Annatto).